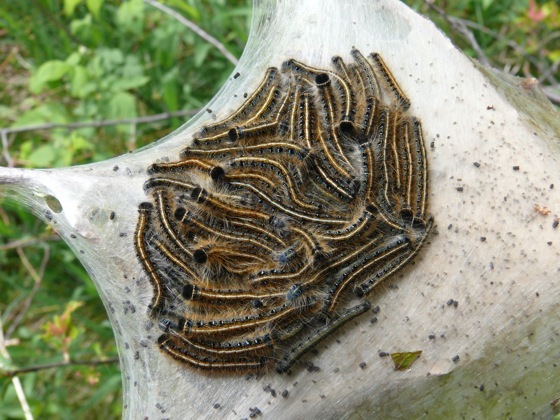 Eastern Tent Caterpillars are most familiar as the caterpillars that make the greyish-white tents of silk webbing in forks of trees in the spring. 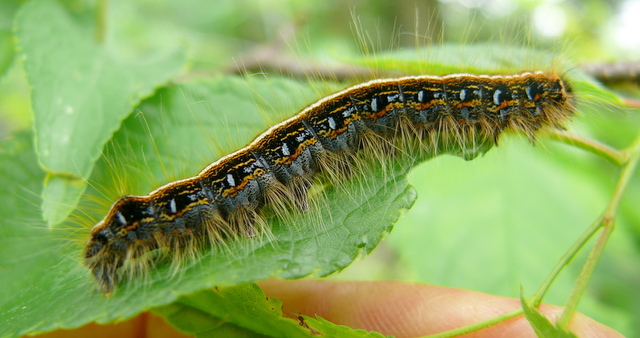 They are native caterpillars, and although they do eat the tree leaves, and may defoliate some trees during high population years, they aren’t harmful to the trees in the long run. 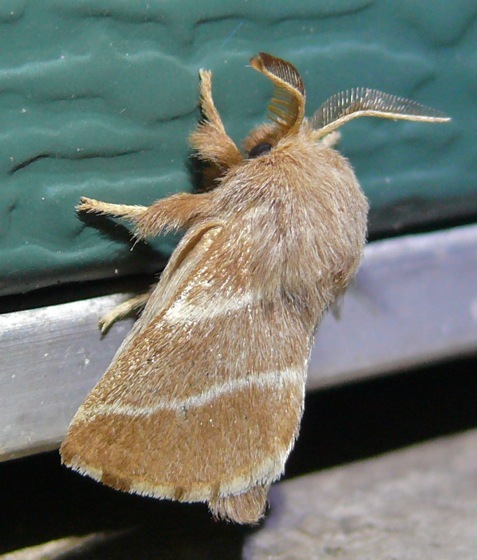 (The National Park Service has very helpful information on these caterpillars.) 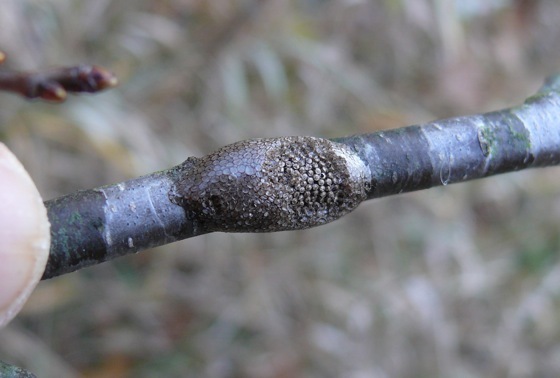 The trees seldom die, unless they have been weakened from some other cause. 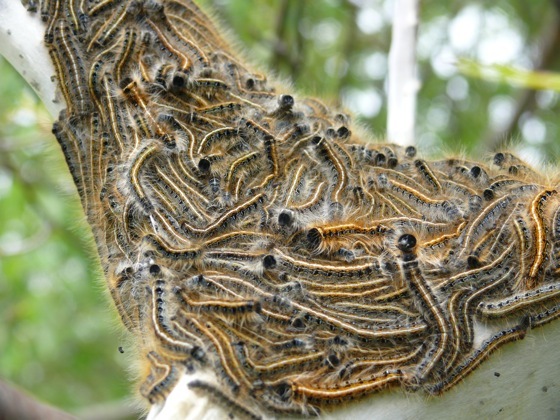 Another advantage of having lots of tent caterpillars around, is that we see lots of cuckoos. 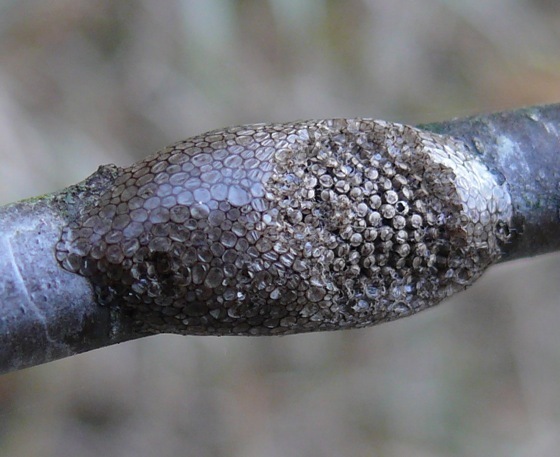 Tent caterpillars are a favorite food of cuckoos – the cuckoos aren’t bothered by the caterpillars’ hairy bodies. 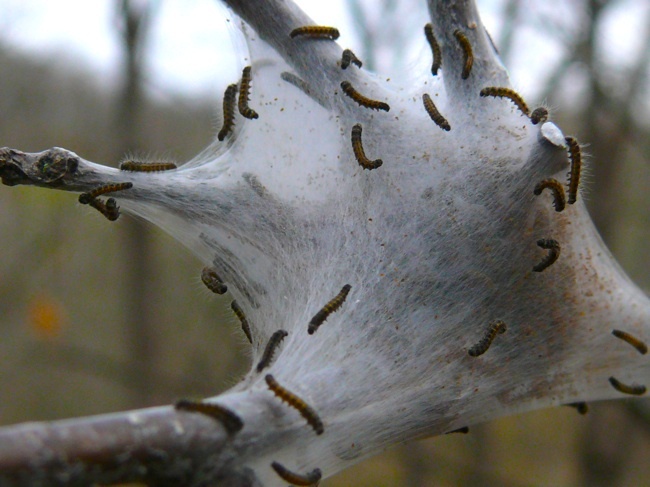 After the caterpillars hatch, at about the same time as the leaves open, they build a web nest in the fork of the tree. 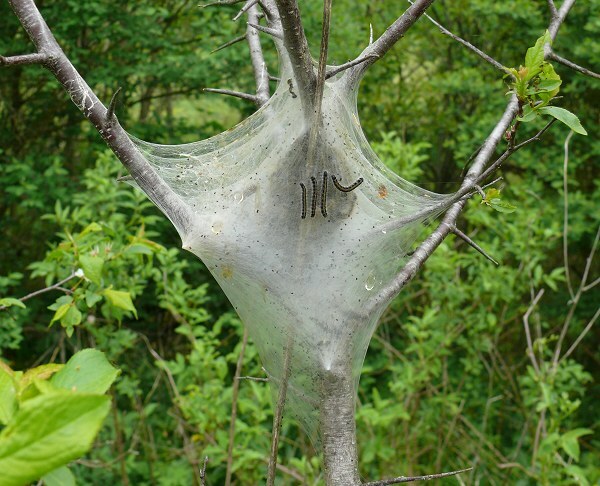 They use these nests to rest while they’re not feeding – the webbing protects them from predators. 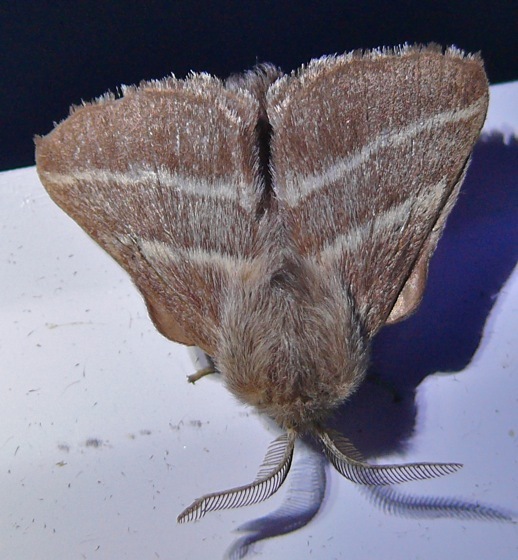 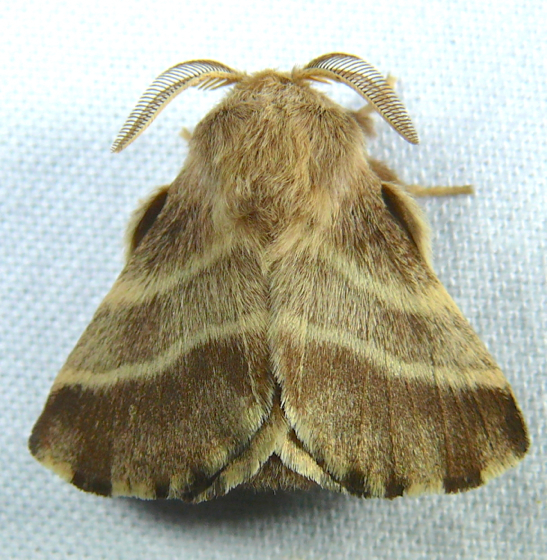 I see the adult moths when they come to my lights. 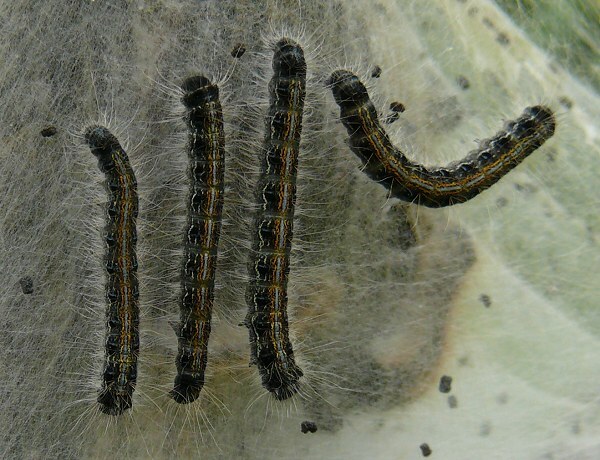 A very helpful page – with much detail about the life cycle of Eastern Tent Caterpillars.